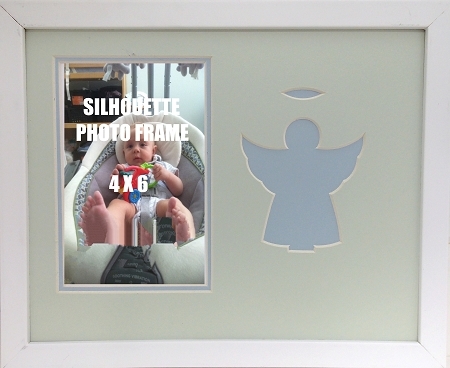 Wall mount children's religious photo frame overall size is 8x10 holds a 4x6 photo. Unique carved silhouette of a blue angel in the mat includes beveled edges. Soft color palette includes baby blue and light green matting. White wood frame including glass front, wall hanging system and gift box.